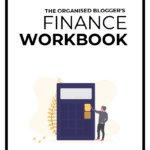 You know that feeling when you’ve got a spare 5 minutes and you desperately want to use it to do something productive for your blog, but you have no idea what? By the time you’ve worked out what it is you could usefully do with the moment… it’s gone. I know what that’s like! With two small children and a busy job, it’s difficult to find the time to fit in blogging even when I block out time for it. To stay organised, I try to think about what I can reasonably do in pockets of spare time… not that I get many of them. That makes it even more important – when you do get a moment that you could use for blogging, you want to grab it and make the most of it. 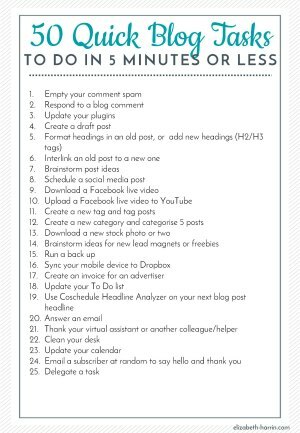 Here is a list of 25 things that you can do on your blog that take 5 minutes or less. I have 50 suggestions for you in total, so if this list isn’t enough, download a cheat sheet of all 50 tasks so you are always prepared to do something when you get a chance. Comment spam builds up! I use Akismet, and there’s always something in there. Have a quick scroll through to check no real comments have ended up in there by mistake, then delete the lot. It saves space in your blog database and will make you feel on top of your comments. While you’re in the comments, check if you’ve had any recent blog comments and respond to one or two. Keep engaging your audience! Plugins seem to constantly need updating. 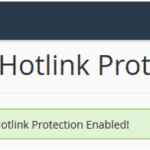 You should definitely do this, because it helps protect your blog against security vulnerabilities. When my VA creates a post, her name appears as the author of the post. Even if I have written the article and all she is doing is scheduling it, the act of creating a post in WordPress assigns that post to the person who created it. We looked at a number of ways round this in my theme, but came up with an old-school solution: I create a batch of draft posts which she then edits by adding the content. Whether you have this issue or not, create some draft posts with placeholder headlines for your upcoming articles to save you a job when the piece is written. Many of my old blog posts don’t have subheadings. Slowly, I’m getting round to editing them to include subheadings. Find some of your articles that aren’t formatted appropriately and add in H2 and H3 headings to make them easier to read. Interlinking posts is great for SEO and also helps keep readers on your site for longer. Help them find your excellent content by linking between your posts. It’s easy to link a new post to an old one, but easy to forget to link old ones to new ones. Find something old that you can update with a quick link to a more recent post. I do this a lot in spare moments. Get out a pen and paper and jot down ideas that you could use for upcoming blog posts. I schedule Facebook posts directly into Facebook (mainly, I also use SocialBee). Whether you use a scheduler or choose to schedule into the social network directly, you can get a couple of posts loaded in 5 minutes. Downloading a Facebook live video always seems to take me ages! Download your recent lives so you can use them in blog posts or put them on your YouTube channel. Once you’ve downloaded your video, upload it to YouTube or any other social video network that you use. I like how easy it is to embed YouTube videos in future blog posts. Tags help with organising blog content, so check out what tags you currently have and create a new one if necessary. Then tag some posts. You should only have 5-8 main categories on your blog to avoid confusing readers and search engines, but sometimes it’s appropriate to create a new one (and retire an old one). You can set up a new blog category and categorise some posts in 5 minutes. Go to wherever you like to find stock photos and pick out some new images to download. Remember to check the licence terms – I feel like I have to say this every time I talk about downloading images as I still see bloggers taking images from other sites or Google Images or even writing: “Source: Pinterest” as an “image credit”. That is not OK! When you’re not in front of your computer, use your spare time as thinking time. Try to come up with a new lead magnet or a freebie you could offer your readers, either on email (ConvertKit makes it easy to deliver freebies when someone leaves their email address on a form) or via a blog post. When was the last time you ran a back up of your blog? Do it! If you have lived though the awfulness of deleting your entire blog by accident (like me) or being hacked (like me) then you’ll know how essential it is to have a recent back up. Go into cpanel or the back up tool you use and take a full back up of everything and store it somewhere safe. While my iPad syncs automatically to Dropbox, for some reason, my phone won’t. If I’m in an area with a decent wifi signal I can use spare moments to make sure that my photos sync to my cloud storage provider. It’s a handy back up but also means it is easier to find pictures on a different device when I need them for creating blog images. Invoicing – we have to do it! Whether you are billing someone for sponsored content, blog advertising banners, newsletter sponsorship or something else, keep an eye on your cash flow and invoice them! I use FreeAgent for all my accounting including invoicing, partly because of the great app. That allows me to reconcile payments to invoices on the go and to check my bank balances at any time. Sometimes when I’m working hard or am very busy, I forget to update my master To Do list. I use Teamwork as a To Do list tool and planning tool. It works well with my VA and keeps me organised. Plus it’s super simple to use. Take 5 minutes and go into your To Do list app to cross off anything that you’ve already completed, and add the tasks that are currently just written on sticky notes on your desk! Coschedule’s Headline Analyzer tool is free and a great way of assessing the clickability of your next blog post headline. Coschedule has blog content and social sharing functionality to make sure everyone on your team (or just you) has all the content produced for an article ready when it needs to be. I have used Coschedule and found it a really good tool. Can you answer an email in 5 minutes? I think it depends what the topic is. If you have had a query from a blog reader, then see if you can get back to them in the spare time you have. Say thank you! The people who support you with blogging will certainly appreciate it. I thought I’d share a photo of my desk, but it’s too embarrassing! When I get 5 minutes I will tidy up and give it a wipe down… Promise. Add in any new appointments that you have. Look at upcoming promotions or your email schedule. Move around blog articles so that they fit and flow better. Just stay on top of what’s coming up so you feel more organised and less likely to be surprised by something happening next month. Pick a subscriber and reach out to them. Thank them for being on your email list and say hello. Ask if there is anything else that you could be writing about that would interest them. This is a good way to build relationships with your true fans. What is on your To Do list that you could give someone else? Pick something and hand it off. This will save you time in the long run because you’ll have less to do, so you’ll be more on top of your work. Still want more ideas? Check out another 25 blog tasks that take 5 minutes or less in this bumper cheat sheet of things to do. 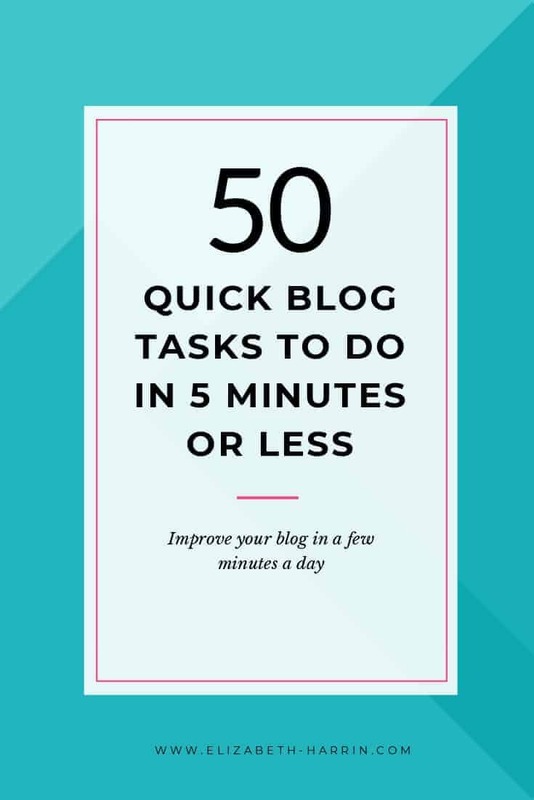 Here is a bumper list of blog tasks you can do in 5 minutes or less. These quick but productive and useful activities will help you keep blogging even when you are short of time.